Coworking spaces rent to both individuals and groups, offer unique amenities, and attract movers and shakers in droves. In other words, they're like the Airbnb of office real estate. But where Airbnb offers bedding, a full kitchen, and other homey amenities, a coworking space can provide a sense of community and a place to work, which might just be better than the buzzy home rental platform. 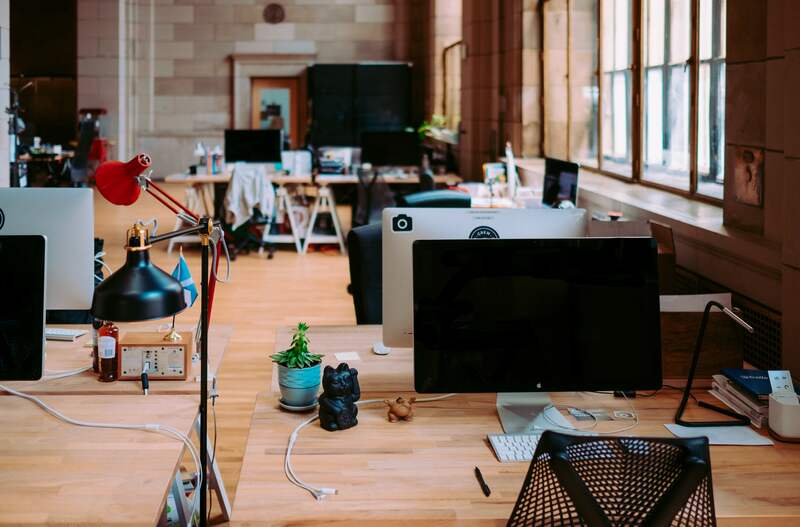 Just like Airbnb offers a platform to rent out apartments and homes, various spaces within the coworking industry connect users to open desks, offices, and team rooms. The benefit is twofold: Individuals and small teams gain access to space that is both more customized than coffee shops and cheaper than full leases, and coworking businesses get to rent out their unused office space and foster a community of growth and innovation. For freelancers and digital workers, coworking offers a new approach to working. We all know it can be hard to get work done in our own home or apartment, but finding a space in a coffee shop or library can be stifling; maybe there aren't enough outlets, there's one bathroom, or you simply can't find an open table. Coworking spaces alleviate this. Teams of any size, too, can benefit from rented suites or meeting rooms that offer WiFi, coffee, and a relaxed environment. 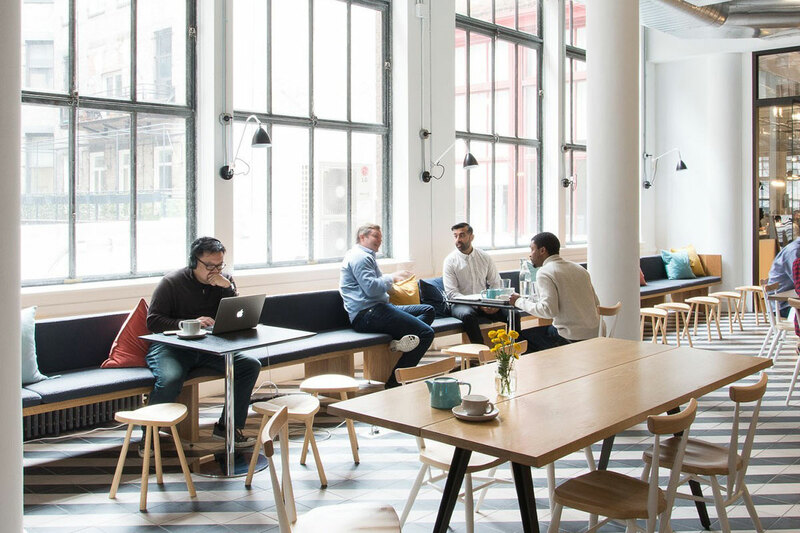 Croissant is one of the most popular platforms, providing access to 80 different coworking spaces in cities across the U.S. A simple website and mobile app let you find and reserve a seat or office. All memberships last for a full month and give you a certain number of hours you can use between spaces in the Croissant network during that time. One of Croissant's offices. Credit: Croissant. LiquidSpace can connect you to desks, private offices, and meeting rooms on an hourly basis. If you need a space for a bit longer, they also offer desks, private offices, and office suites on a monthly basis. There are also tailored flexible solutions for larger companies who want customization in their workspace. SharedDesk is yet another option that lets you filter search results based on your work requirements and location. You can book spaces and pay online, so getting started is as easy as checking in and getting right to work. SharedDesk works with dozens of spaces and clearly lists the prices for all of them as you search. You can choose to rent a space hourly, daily, or monthly, just like on the other platforms. 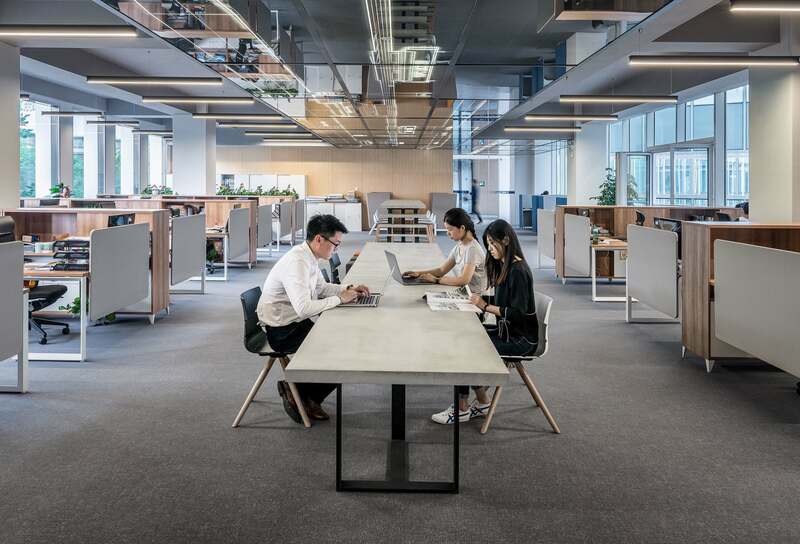 While both a coworking space and a traditional office will have similar amenities, many people find their productivity increases in a coworking space, which fosters more ease than the classic office setting. Emotional health can also increase, since the environment is more relaxed, there are more seating options and there is often a sense of community. In many cases, coworking spaces are more affordable than traditional offices, especially for startups and entrepreneurs. Additional resources, such as talks with industry experts and networking opportunities, are also available.